From Mexico to Mississippi, the tamale has become a Southern staple—whether you realize it or not. 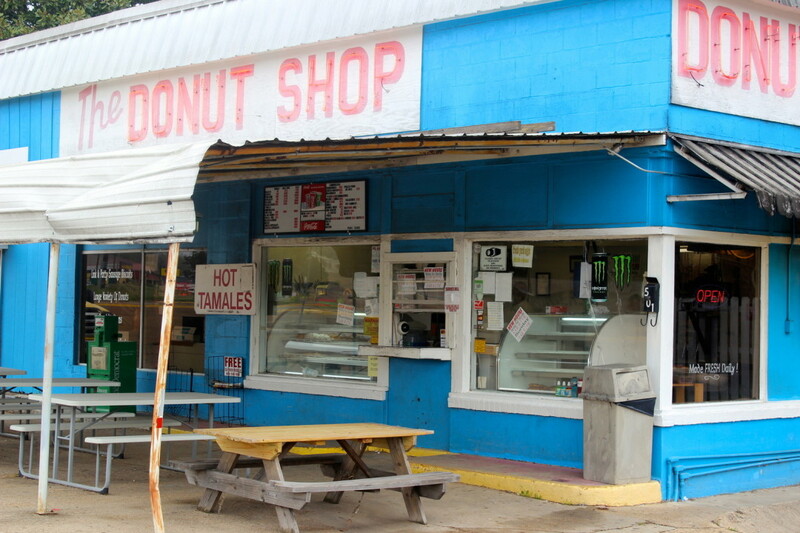 The tamales are as popular as the donuts at The Donut Shop in Natchez, MS. The town of Natchez, Mississippi contains roughly 15,000 residents, nearly none of whom are Hispanic. The most recent census data, in fact, suggests that fewer than 100 people in Natchez are Hispanic; the rest of the residents are split fairly evenly between black and white. Yet everywhere you look in this most Southern of Southern towns, perched on a bluff overlooking the Mississippi River, you'll find tamales. You'll find them in a "gringo pie" at Fat Mama's Tamales, where they're covered in chili, cheese, onions, jalapeños, and served in a metal pie tin alongside frozen margaritas heavy on the tequila. You'll find them deep fried and plated artfully at The Carriage House, where they keep company on the menu with silver dollar-sized biscuits, fried chicken, and Southern bean cassoulet. 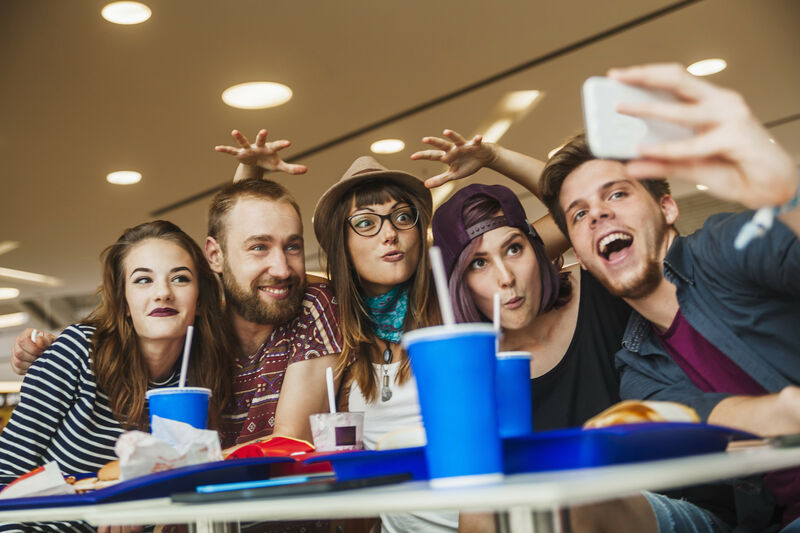 You'll find them tied in a bundle and served in a foil sheath at The Donut Shop, where they're as popular an item at the roadside stand as the donuts themselves. 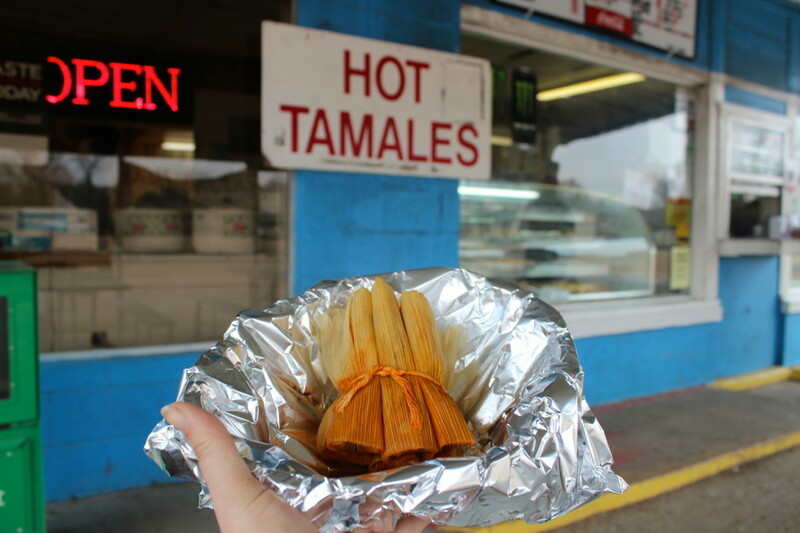 That's because Natchez lies near the southern tip of what the Southern Foodways Alliance has dubbed the Hot Tamale Trail, which has been producing tamales by the thousands since at least 1928—despite a near-total absence of Mexican or other Hispanic residents. And although the SFA has thoroughly documented the recipes, life stories, and locations of the dozens of black and white tamale vendors from Dilworth's Hot Tamales in Corinth—just south of the Tennessee border—to Doris' Hot Tamales in Biloxi, one question remains unanswered: why are tamales such a big deal here in Mississippi? 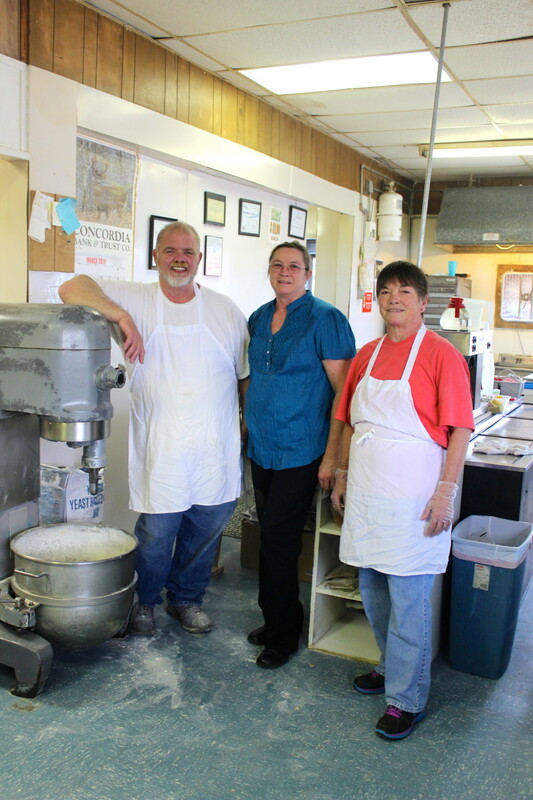 George Tyson, his wife Mary, and her sister Catherine have been making Mississippi-style hot tamales for 24 years at The Donut Shop. "There are as many answers to that question as there are tamale recipes," writes oral historian Amy C. Evans at the SFA. "In restaurants, on street corners, and in kitchens throughout the Delta, this very old and time-consuming culinary tradition has remained, while so much of the Delta—and the South as a whole—has changed." George Tyson, who has owned The Donut Shop for the past 24 years with wife Mary, has his own ideas on how and why the tamale has persisted, as well as a theory on its roots in the state. "I think they come from the Aztec Indians, who knew how to mix ash with corn to make nixtamal," says Tyson, who grew up eating tamales—as did everyone else in Natchez. "And the Indians around here learned how to do the same thing." The Natchez tribe for whom the town is named is notable for having survived well into European colonization—in fact, the tribe was still active for decades after the French founded the town of Natchez in 1716—but has never been linked to the Aztec tribes of Mexico. According to Evans and the SFA, a more credible theory is that the tamales were brought up from Mexico along with migrant workers to pick cotton alongside black sharecroppers in the early 20th century. "The African Americans who shared the fields easily recognized the basic tamale ingredients: corn meal and pork," writes Evans. 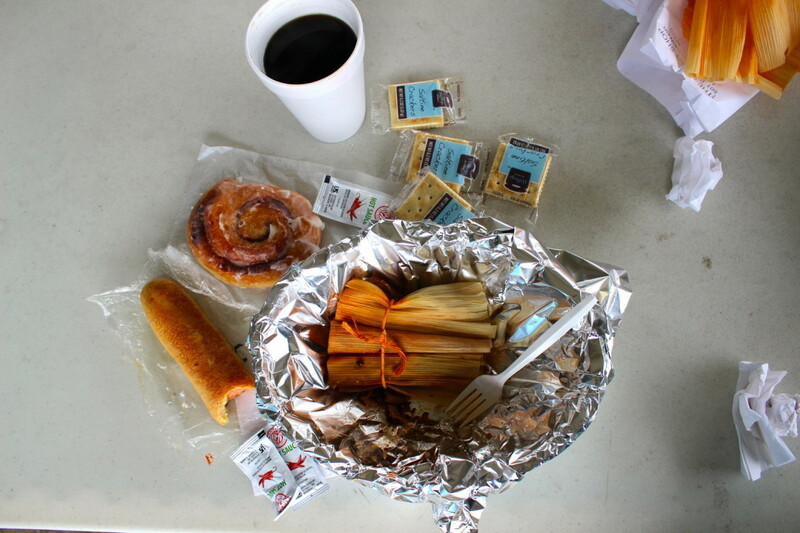 "Tamales have persisted in the Delta because of family tradition, public demand, and out of simple necessity. African Americans discovered a warm and hearty food that could be easily transported to a chilly cotton field during the fall picking season." The Donut Shop also serves kolaches (bottom left) although they're called "kalaches" and don't exactly measure up to the tamales. On this point, at least, Tyson agrees. "They're finger food," he says. "They're portable. People like to pick 'em up and take 'em to go, take 'em to baseball games." Tyson and his wife were both welders before purchasing The Donut Shop in 1990 from Mary's aunt and uncle, who had run it for 17 years prior. Tamales and donuts had always been on the menu, though the Tysons learned to make their own Mississippi hot tamales through a process of trial and error. "We just added stuff over the years, tweaking the recipe, trying to make it perfect," says Mary. 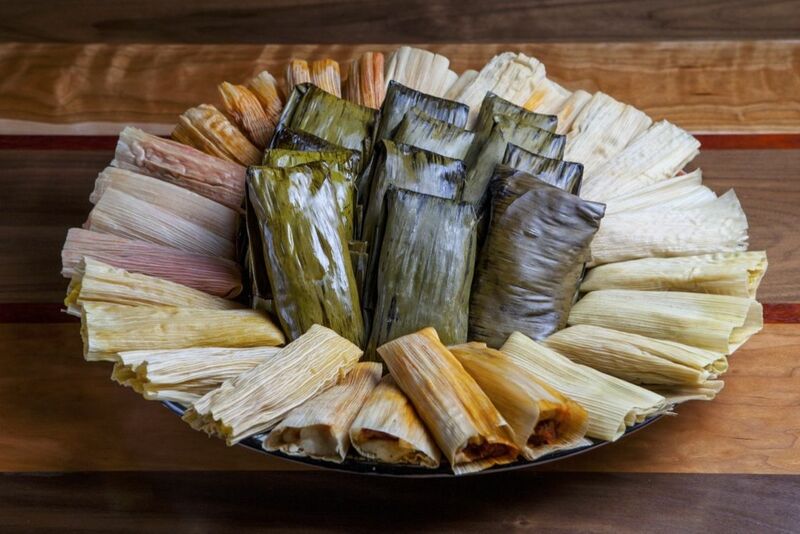 Unlike Texas tamales, these hot tamales are small, delicate, and often wrapped in parchment paper instead of corn husks. While many Mississippi hot tamales use gritty corn meal instead of smooth masa harina, The Donut Shop's masa is silky and melts into the spicy pork filling. They're served six to an order, wrapped loosely in husks, and they're wet—another odd finding for a Texan. That's because The Donut Shop, as with many Delta tamale makers, simmers its tamales and serves them along with the ruddy-colored juice. 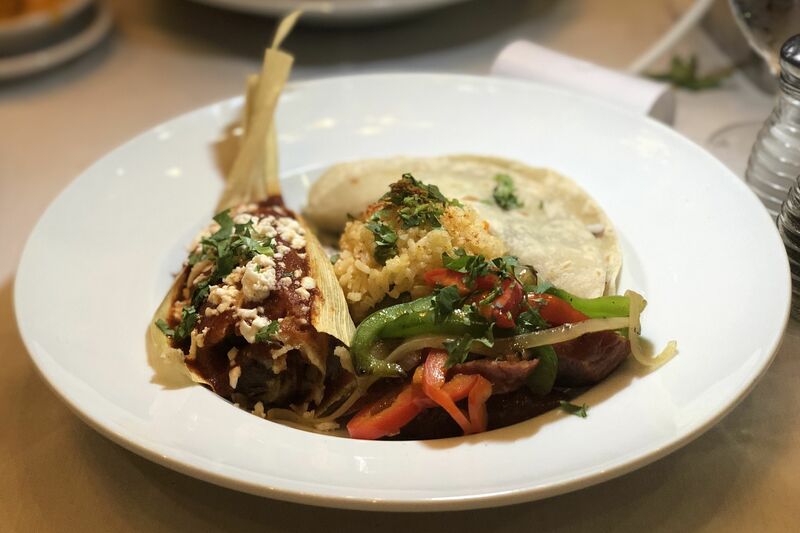 I found myself enjoying the spicy pork tamales as much as any I'd ever eaten back home, and told the Tysons they got this Texan's seal of approval. George and Mary, for their part, were unaffected by the praise. 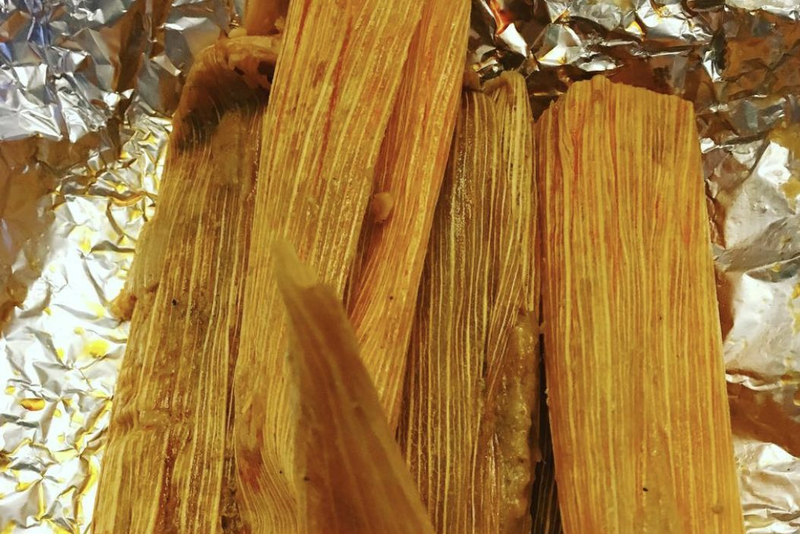 After all, they chuckled, what do Texans know about tamales? Tamales are a Mississippi tradition. The Donut Shop was once praised by Alton Brown as making the best donuts in America. Did he not even taste the tamales?